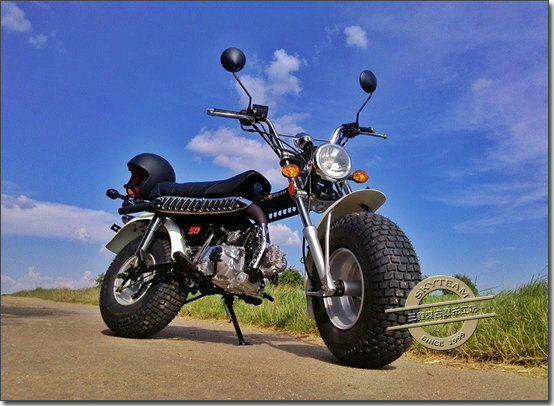 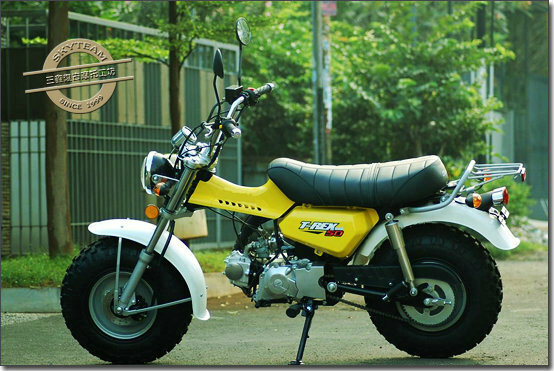 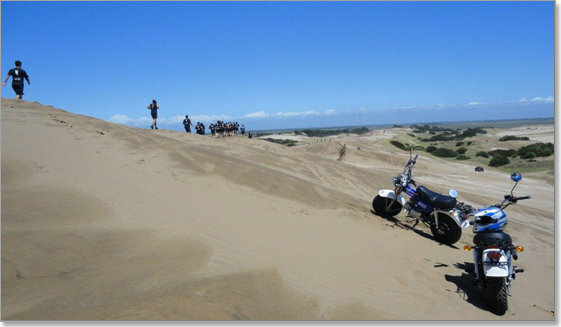 As a Chinese motorcycle manufacturer, SKYTEAM( also known as “JIANGSU SACIN MOTORCYCLE CO., LTD”) has a wide range of EEC on-road motorcycles, like mini retro models, classic café racer, dirt bike, etc.. 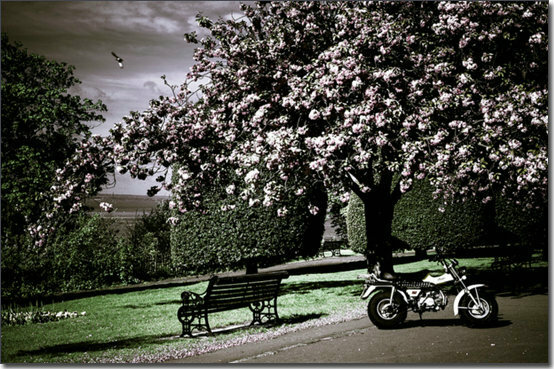 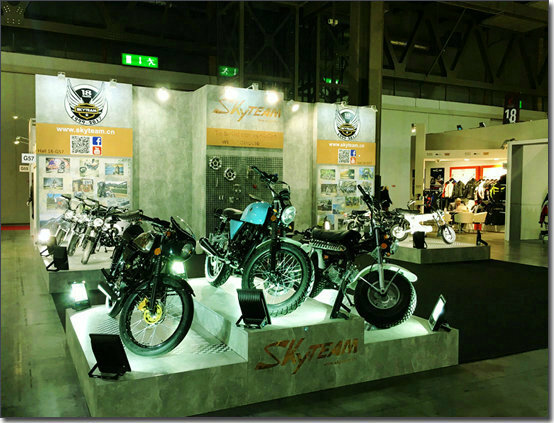 Established in 1999,SKYTEAM (Jiangsu Sacin Motorcycle Co., Ltd.) specializes invintage on-road motorcycles, and most products are for export market. 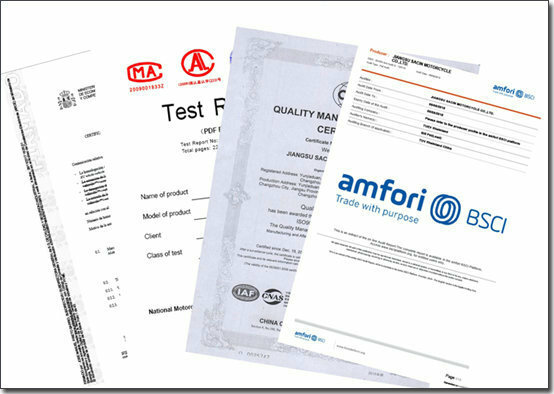 With advanced international and domestic technology, we have developed more than 45 models, among which 24 models are EEC approval, and 13 models are CE approval. 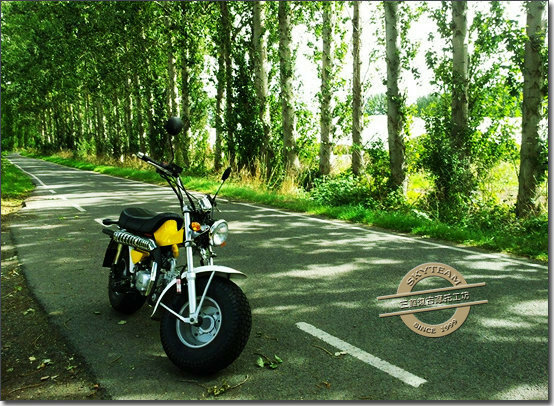 Besides, we own 7 models which have been successfully patented of outlook intellectual property. 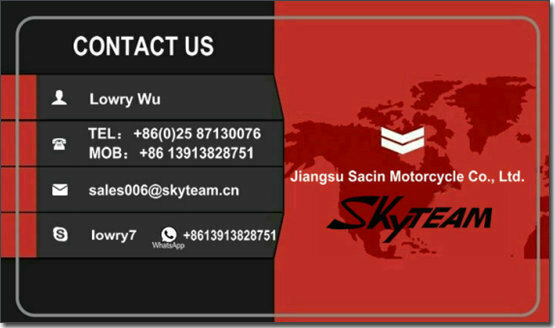 Our brand name for export market “SKYTEAM” and its logo has been registered worldwide. 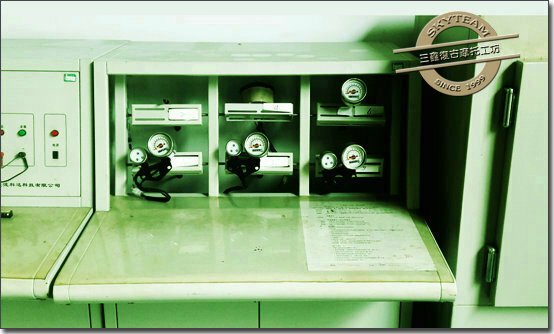 Equipped with good team-work spirit as well as leading research and developing strength, our company put out new products every year based on international market demand. 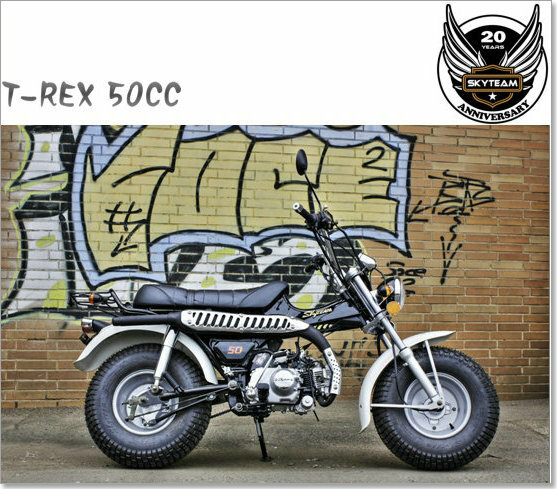 We present our products every year on the two well-known international motorcycle shows held in Europe and America respectively, so that we can bring in the latest and most advanced technology on our products. 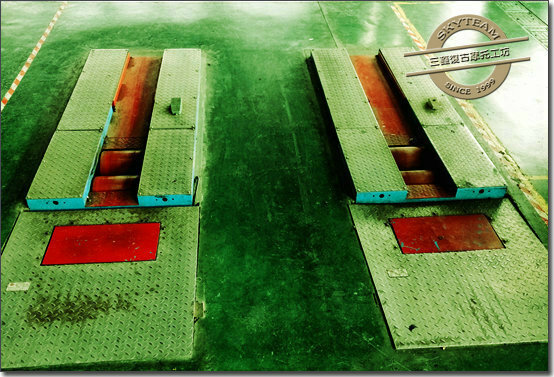 Up till now we have establishedgood business relationship with more than 100 importers almost all over the world, and our products have been exported to Europe, Asia, America, Australia, Africa, Mid-east, and other regions worldwide. 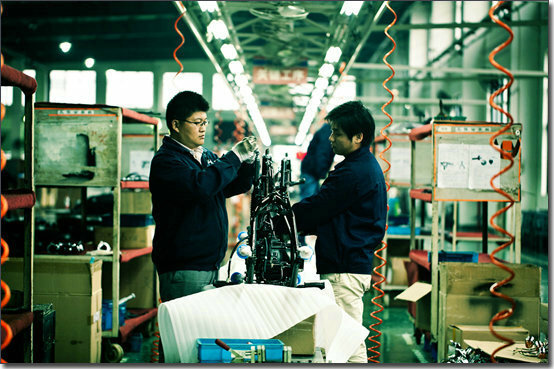 To fulfill our objectives of providing first-class motorcycles and excellent service, we have recombined assets and expanded production scale. 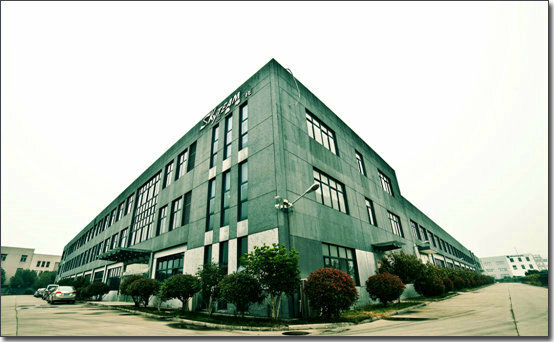 Now our company occupies 14000 sqm of workshop and office building, with 2 assembly lines, 1 package line, 2 motorcycle test line, and 1 engine test line as well as other software and hardware equipments. 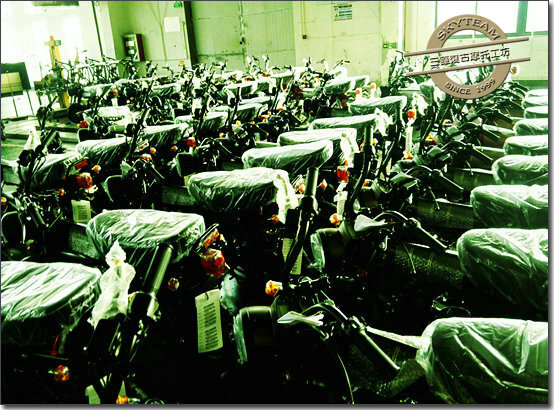 With fast and steady development, we will keep on manufacturing and supplying high-quality motorcycles to all our importers. 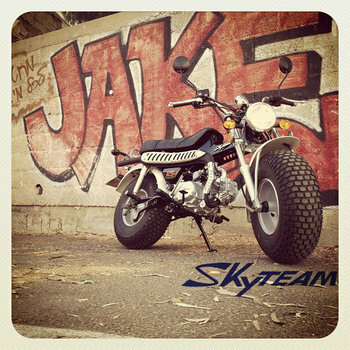 Wish we can have the honor to invite you to join SKYTEAM family!